Microsoft has made it an easy and free task to upgrade Windows 7 or 8 to Windows 10. Every time you boot to Windows you will get a prompt that you are free to upgrade to Windows 10 and it starts to download Windows 10 installer and then upgrade system automatically. This process usually takes about an hour without disturbing existing personal files or documents. Most users have managed to upgrade their Windows system. 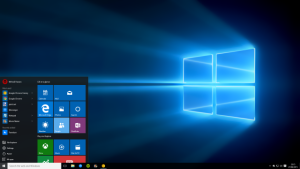 Windows 10 improves in many aspects especially user experience though, users will hardly feel these improvements if certain hardware components do not meet requirements. many users want to upgrade or change hardware to improve computer performance, such as add an SSD and migrate system to it. Here raises the question: how to migrate Windows 10 to SSD? SSD or solid state drive is emerging storage device, storing data on flash memory instead of moving parts of traditional hard drive. It has faster read and write speed and quiet working status, but it is much more expensive. For the moment the popular SSD capacity is not larger than 500GB due to price factor. Now SSD is more frequently used to install system as it offers faster speed and better performance. Thus it’s understandable to migrate Windows to SSD. The traditional solution of move Windows to another drive involves tans of tasks, such as backup important data, reinstall system, download and install applications, install system patches, set personal options, backup Windows, etc. Fortunately, here is an excellent Windows 10 partition manager – PartitionGuru Pro that can migrate system to another storage device without reinstallation. This Eassos tool is able to convert partition table format between MBR and GPT without data loss, resize partition, clone partition, etc. You need to make sure that there is a partition on SSD whose size is equal to or larger than the current system partition. If partition on the SSD is too small, then you can extend it with PartitionGuru first or recreate a new partition. If you want to migrate system from MBR to GPT, then you need to make sure your motherboard supports UEFI boot. Steps of move operating system with Eassos partition manager. 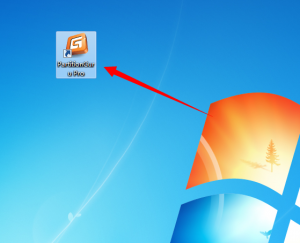 Step 1: Download and install PartitionGuru Pro and launch it. Connect the SSD to computer and you can see it in PartitionGuru. Step 2: Click menu item “Tools” and “Clone Partition”. Step 3: Select original and target partition and set clone mode as All Sectors. This entry was posted in Partition Manager and tagged migrate Windows 10 to SSD, windows 10 partition manager by EASSOS. Bookmark the permalink.